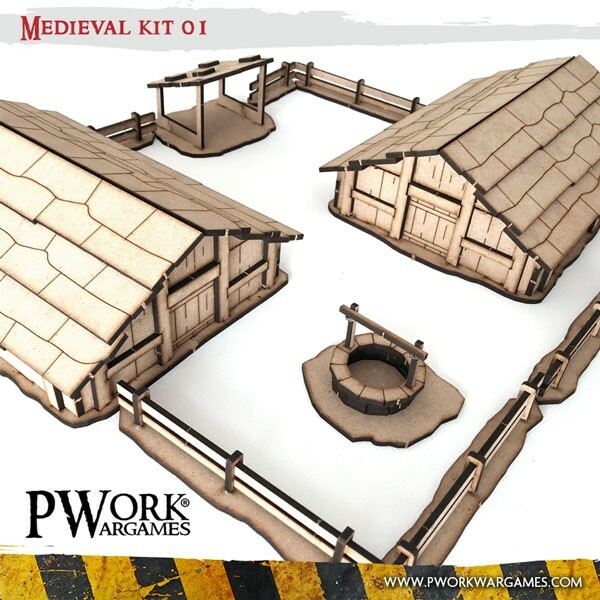 Home Gaming News MDF Scenery – Medieval Kit 01! Pwork Wargames MDF terrains! Build a medieval village on your wargaming tabletop and fight to defend your land against barbarian invaders!